Rob has over the last twenty years successfully worked within sales and customer-based industries. He has been involved within the real estate industry for approximately 19 years and is proudly a Director of the Harcourts Hobart office. During this time he has developed an acute understanding of what purchasers and vendors really require - this knowledge enables Rob to genuinely help with a sale or purchase of a property. He is honest, committed and has a high level of integrity which he portrays through both his personal and business life. Rob believes that when he is representing a vendor, the most important aspect is to clearly listen, understand and adequately satisfy the needs of his clients. Secondly, he has the ability to precisely communicate to his vendor / purchaser the information required, enabling them to make correct and beneficial decisions. Buying and selling property is monumental - Rob understands this! He is passionate and has a genuine desire to help people through this life event. Rob is superbly supported by his Team and he enjoys the wonderful company culture that makes his working life totally enjoyable. Having lived in Hobart for all of his life, Rob recognises that of paramount importance, is having a good sense of humour, community spirit and high level of ethics - the core & essence of Harcourts! Ben is a dynamic, hard working, and approachable estate agent with 15 years experience behind him. Ben previously ran his own successful real estate office in London and has fast become a top performing agent around the Hobart area. Ben’s enthusiasm, tenacity and commitment to providing the very best service to both vendors and buyers have been the foundations of his highly successful career. Ben takes his role very seriously and is acutely aware that the results that he achieves for his vendors dictates the paths they are able to take in the future. With a strong passion for the customer service aspect of real estate, Ben is dedicated to assisting people to sell their properties or to find their next dream home. In all aspects of his career, Ben embodies Harcourts’ core values – he does the right thing at all times, has fun in everything he does, always puts people first and acts with courage and tenacity on a daily basis. With his sights strongly set on the future, Ben strives to become one of Hobarts most successful agents and is guaranteed to provide exceptional service to his clients. Colin has an infectious enthusiasm that people tap into and feel encouraged by. He is approachable, relating with everyone from all walks of life and never misses an opportunity to be of exemplary service. He is passionate about real estate, having invested through many property consultants before becoming one himself, he understands what makes good operators stand out from the rest. Colin has a strong marketing and finance foundation. Having completed a Bachelor of Commerce, majoring in marketing, a nine year marketing career followed in the banking-finance and energy-retail industries, including owning and operating a small retail business. The lessons learned and skills gained from these correlated professions serve him well in the property industry. Colin gets immense satisfaction from helping others achieve their goals, and considers great service paramount to his success. His desire to help, and willingness to keep moving and get the job done no matter what, makes him the ideal choice to market and sell your property. We invite you to get on board, and watch Colin deliver you a better price, in better time, with a better real estate experience along the way. Born and raised in Hobart, Corrine already has an insight into the growing population of Hobart’s surrounding suburbs. Corrine’s passion for real estate has been a future prospect for many years, with her key goals of one day creating miraculous sales success. With her big smile and warming nature, Corrine is bound to provide excellence customer service to all our clientele. Prior to her commencement into real estate, Corrine started her working career in the Pharmaceutical sector. During this period Corrine developed exceptional skills in customer service and retail. Completing her Certificate III as a Pharmacy Assistant, she soon found success after becoming Retail Manager within three years. Along with a demanding work load Corrine’s outstanding organisational skills has always kept her in front of the game, making her a fantastic Personal Assistant to the highly successful Ben Vance and Phil King. Corrine’s career is driven by her very own motto, “perseverance is the key for success”, which she lives by everyday. Whilst consistently growing and developing her skills and attributes, Corrine will continue to strive for success in all aspects of her real estate career. Join us in welcoming Corrine to our dynamic team! Trust, Integrity and Experience The real estate market is continually changing. Ian offers over 30 years of experience, trust, honesty and experience in real estate sales to give you an accurate market appraisal and the knowledge to market and promote your property. Ian’s experience includes Owner of his own Real Estate Company, Sales Manager and sales consultant, achieving top sales person award for Tasmania. Selling or buying a home is a major decision and you deserve to have every confidence and trust in the person offering you advice. Ian sold his Harcourts Eastern Shore Franchise in June 2013 and joined Harcourts Hobart in September 2013 as our Sales Consultant. Ian will offer a no obligation market appraisal of your property that will enable you to calculate the increased equity value since you purchased your property. This allows you to consider your plans for the future, to downsize, invest in a rental property or home renovations or travel plans. Call or email Ian for a discussion. Harcourts Hobart is delighted to welcome Ian Strutton to our dynamic team. An experienced negotiator and communicator with over 20 years in business and relationship management, Ian ensures his clients receive quality customer service in all aspects of the sales process. 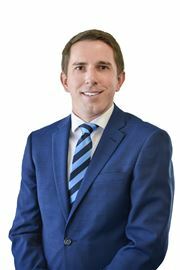 Commencing his real estate career in 2013, Ian has undertaken formal training through the Real Estate Institute of Tasmania and is involved with ongoing professional development through the Harcourts Programme. Ian is motivated by the challenge of achieving the best price for his clients along with the satisfaction of helping vendors and buyers meet their needs and realise their property dreams. A genuine people person, Ian possesses a desire to do the absolute best for his clients, approaching every sale with empathy and the ability to understand and offer support through what may sometimes be a challenging time in someone’s life. Having been on all sides of a real estate transaction himself, whether it be buying, selling, investing or renovating, Ian is well equipped to be your trusted advisor. Outside of real estate, Ian enjoys spending time with his wife Anna and their two young daughters which has allowed him to further perfect his negotiating skills. In addition to being a family man, Ian prides himself on being an excellent cook and is well known for his hospitality. With 5 years in the property industry, a passion for property and people has led Mark into a role as a Sales Consultant with Harcourts Hobart. Mark has a legal background with a Bachelor of Law from the University of Tasmania and a Graduate Diploma of Legal Practice. He ran the New Claims Department in a mid-sized law firm in the UK during his return back to the UK for three years, before a move back to Tasmania to start a family. Upon his return to Tasmania, he commenced employment with a boutique Conveyancing firm in Hobart, where he worked as a Licensed Conveyancer until a move into the real estate sales. Starting out as a Commercial Sales Consultant before a transition into residential sales, has embedded the skills to approach and promote the unique aspects of a property and negotiate with a wide range of people to achieve the best results for his Clients. Mark enjoys the life Tasmania provides with his Wife, two children and two dogs. Outside of work Mark enjoy walking and playing golf. He is a member of the Rotary Club of Hobart and is also on the board of Adventure Patch (a not-for -profit Children's Services Provider). Phil is a locally based, born and bred Hobartian with a strong understanding of the local residential property market. Having worked in the Real Estate Industry for over 9 years, he is client focused, hardworking, always available and approachable. His role as a husband and father ensures he understands the pressures of a busy life and this has established him as a sales person with experience who consistently produces results. Phil is highly motivated, driven and straight forward and assists in providing property solutions to his clients. He was recently ranked in Harcourts top 10% of Harcourts agent’s state wide and has numerous awards to his name recently being awarded a platinum award and ranked number 4 in Tasmanian in written and settled commission. Some of his clients have said; ‘Phil was a standout in terms of his professionalism, knowledge of the market, and ability to sell.’ - Ian Wheeler ‘I found him to be extremely professional and one of the few agents prepared to go the extra yard in order to obtain a satisfactory result for their client.’ - James Walker Phil also has property investment experience and is a multiple property owner in Hobart. Feel free to contact him for a confidential chat regarding selling, buying or investing. Amanda began her real estate career in Property Management & Administration in early 2016. She is a highly focused and efficient property manager who thrives in a fast-paced environment. She firmly believes that excellent communication skills are the most important aspect of a successful tenancy for all parties. Enthusiastic, proactive and dedicated to her job, Amanda is committed to achieving the best outcome for her landlords every time. Alex began her career in Real Estate at just 17 years of age. Being fresh out of school and confused as to whether she wanted to pursue a career in the industry, she today says ‘she has certainly found her passion within this crazy industry’. Alex has had extensive experience in all aspects of sales office administration and assistance roles – in particular, assisting taking contracts, attending open homes and negotiating with vendors and purchasers alike, giving her a sound understanding of how sales transactions work, well beyond her 23 years. Currently Alex assists her Director Rob Henry and oversees the administration department in contract processing, managing the trust account and general sales support. Many of her colleagues will describe Alex as efficient, organised and caring, she will always catch your attention with her infectious smile and caring nature. Just recently Alex was awarded at the Harcourts State Awards 2018 ‘Office Administrator of the Year’ and attended Harcourts National 2018 conference, ‘her first of many’ she explains. Alex holds a Property Representative license and she is also currently studying her Diploma in Property Services. In her spare time, she enjoys spending time with family and friends, she has a dream of visiting as many places in the world as she can and is always just grateful for being blessed by a happy and healthy life! Ruby is new to the Real Estate industry. 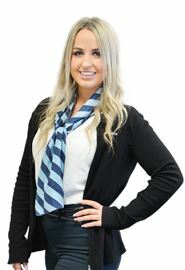 Prior to commencing work at Harcourts, Ruby was working at a Law Firm assisting in conveyancing. 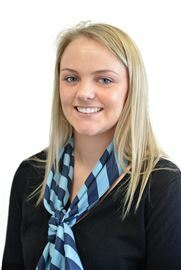 Ruby brings with her extensive experience in property transactions. Ruby has completed her Certificate 3 in Business and hopes to further her career in the property industry and to gain as much knowledge and experience as she can along the way. Ruby grew up with her family in the Huon Valley. In her spare time she enjoys playing netball, spending time with family and friends and travelling. Value plus in the Valley! Set, Foget & Be Happy! Large block and water views!